On December 18, 2017* the mandated Electronic Logging Device, commonly known as the ELD Mandate, goes into effect. This date is when most truck drivers must start using a digital record to comply with the Hours of Service (HOS) regulations. There has been the expected resistance to changing over from paper logs to digital ones. As with any change, there are perceived and real roadblocks, which range from the cost of implementation, requirements, exceptions, driver privacy and more. All are valid topics for concern and discussion. However, what is not as often being discussed are the positive aspects of the mandate. The Federal Motor Carrier Safety Administration (FMCSA) updated its Hours of Service regulations in 2011 for property-carrying and passenger-carrying drivers. For those drivers required to maintain HOS records of duty status (RODS), FMCSA will require the mandatory use of electronic logging devices. Both regulations strive to reduce paperwork, HOS violations and commercial motor vehicle crashes, which are positive goals. Change is never easy. And avoiding this one put forth by the federal government can be costly. However, there are positive, even time- and expense-saving benefits. Write in the comments if there are any we missed! A study discovered that, on average, it can take over two months before a new habit is formed. Participants’ adoption of their new routine ranged from 18 days to 254 days depending on the attachment to a habit. Therefore, make sure that you give your team plenty of time to learn the new process. The transition can be made easier with regular training. The FMCSA is conducting a series of in-person seminars around the U.S. this summer. See the schedule here. You can also continue to maintain paper logs for a specified period. The information can be used for comparing with the digital logs. The dual process can help to gradually curtail the need to record data manually. If you are evaluating solutions, CalAmp offers iOn Hours. It is our FMCSA compliant service that drivers can use or bring your own device (BYOD) to update daily logs, exceptions and inspection reports. CalAmp’s web-based HOS portal enables fleet managers and owners to review driver daily logs, set up custom inspection categories and view comprehensive reports. Learn more here. 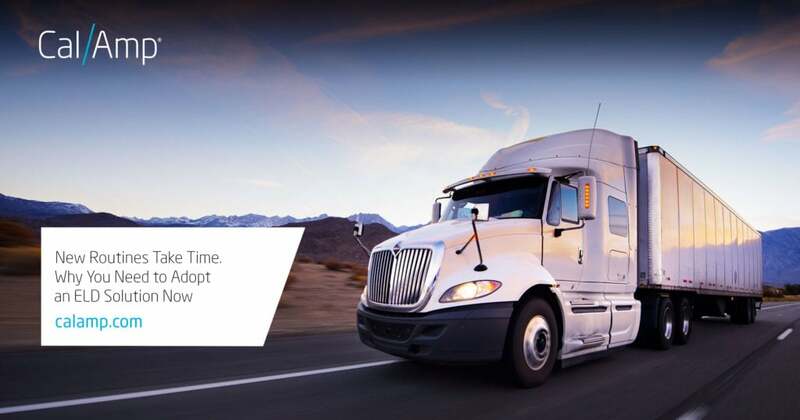 *Trucks with AOBRDs have until December 16, 2019.